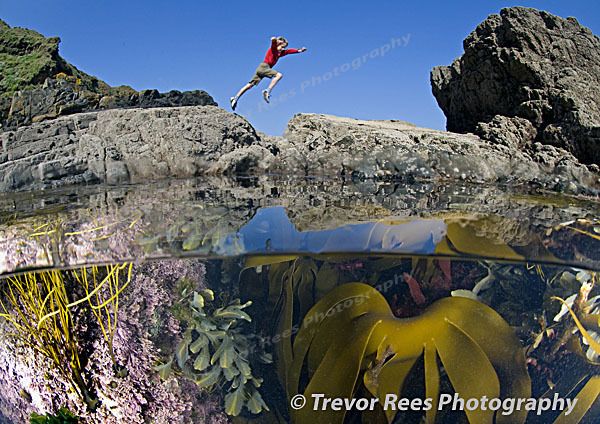 Rockpool and jumping boy, shot as a split image with the camera half in and half out of the water. This image was entered in the BSoUP 2007 print competition. This image has been used for Wildlife Trust advertising material and as a front cover for 'West Country Cottages'.